A fun time was had by all at this year’s North Star Adult Recognition dinner held at the American Legion post in Broad Ripple this past Saturday. Eddie Stahl, our new Sr. District Executive, and Lee Murdoch, Crossroads BSA Director of Support Services, spoke to the group about their visions for 2019 as well as to recognize North Star adult volunteers for the phenomenal work they are doing for Scouts in our District. Jerry Simon received the inaugural Jerry Simon North Star District Service Award of Distinction for his 30+ years of dedicated service to the District, much of that focused on mentoring Eagle Projects and leading Eagle Boards of Review. Stephen Heath and Kevin Neese received District Awards of Merit for both of their continued tireless efforts with our District, and Peter Holtz received Scoutmaster of the Year for his leadership of Troop 56. Mark Pishon received a special recognition for his above and beyond continual service and leadership to North Star. Peter also wrapped up the meeting with a very fitting Scoutmaster Minute. Mike Yates, the Pishons (Mark and Chris), Paul Kovach and Mark Maucere did a fantastic job of setting up this 100th birthday gala for North Star. This entry was posted in Adult Recognition, Awards, News, Programming, Silver Beaver Award. The 2018 North Star District Adult Recognition Dinner will be held on Saturday, January 26th, 2019 at the American Legion Post #3, 6379 N. College Ave. from 7:00-9:00 pm. We would like to get a good turn-out for the volunteer recognition dinner this year! See the 2018 Nomination Forms (<== linked here) which can be used to nominate adult volunteers for recognition in all BSA positions. This entry was posted in Adult Recognition, Advancement, Awards, News, Programming. So you were recruited to serve as an adult leader for “one hour per week.” Several years later you are amazed by not only what your scouts have learned but what you have learned, too. Do you feel like you have grown as a leader? Have you learned personnel management skills? Project management skills? Adaptation to adversity? Have you taken leadership training courses, such as Den Leader Specific Training or Wood Badge? When you look at your resume for your next job application, have you included your scouting leadership positions like you would any other job? Why not? Prospective employers want to see applicants that have challenged themselves and learned along the way. They want to see applicants that have learned lessons from failure, especially on someone else’s dime. But, don’t look at this only as a way to boost your resume. Look at resume enhancement as a means of recruiting new volunteers. When you talk to scout parents about their life experiences on campouts or during activity breaks, ask them what they do for a living and what their dreams for the future are. If they want to move up into management, suggest that scouting teaches those skills and is a way to get experience. Scouting is as much an experimental lab for adults as it is for scouts. So look for scout parents who want to grow and recruit them based on what it can do for their careers (never mind networking with scouters who are extremely successful in their professional pursuits. So make sure you know your scout parents’ resumes. It will work wonders for you. This entry was posted in Adult Education, Adult Recognition, News, Risk Management, Skills, Why scouting?. [INDIANAPOLIS, INDIANA, February 8] District Leaders, mentors, family and friends assembled at the 2017 North Star District Awards ceremony to offer well-deserved congratulations to the Leadership team and to recognize members of the District for their commitment to service. Included in these honors was the highlight of the Journey to Excellence Gold Award status earned by North Star with the overall highest score in the Council and an announcement that North Star’s contribution led to the Crossroads of America Council being the highest scoring council nationally, too. A highlighted list of honored outgoing leadership and 2017 Award Winners can be found below. Membership Growth. This includes development of strategies to communicate with Charters and Schools as well as in assisting our Units with Leadership Outreach and Program Awareness. This work will help keep up the interest with new/prospective Cub Scouts and their parents in the competition for time and attention with other extracurricular activities. Our new Membership Chair is soon to be named. Program Offering. Mark Pishon as 2018 District Program Chair will bring a passion and energy to this critical pillar to enhance our current program offering as well as expand in areas that will further encourage greater recruitment, participation and retention. Communication. Cheryl Bilsland will be serving as 2018 Communication Chair and brings corporate digital marketing and Toastmasters communications mentorship experiences to the role. We look forward to building upon and expanding our communication and outreach presence in a way that best meets the needs of the District. Mark emphasized his “open door policy” and is humbly looking forward to meeting and working with each of you, thanking you for your service, insight, talent, energy and involvement in order to grow our District in 2018. If you would like more information about this topic, please call Cheryl Bilsland, 2018 North Star Communications Chair, at 317-225-6102, or email c.bilsland@yahoo.com. This entry was posted in Adult Recognition, Awards, Boy Scout, Crossroads of America Council, Cub Scouts, District Committee, Journey to Excellence, Membership, National Council, News, Programming. Note: $25 for solo and $45 per couple. Our North Star District Recognition Dinner 2018 honoring scouters’ work in 2017 is approaching fast. Please make sure that you and your unit leaders are registered to participate. Ignore any indications that this is sold out or deadlines have passed! Sign up! This entry was posted in Adult Recognition, News. In a previous post, we gave the wrong date for the Nomination for awards for the District Recognition Dinner. The correct date for those nominations is Sunday, January 14, 2018. This entry was posted in Adult Recognition, Events, News. CORRECTION: The literature below contains the wrong deadline for the nominations. The correct date is Sunday, January 14, 2018. Sorry for the mistake. contributions to Boy Scouting in 2017. Download a copy of the invitation to distribute to your leaders is available here. Nomination forms specific to North Star are available here. The Crossroads of America Council, under BSA rules, also offers a District Award of Merit as the highest award that districts can offer. This is the district equivalent of the Silver Beaver Award for the Council. We are eligible to grant two of these awards. The nomination forms for the District Award of Merit are separate and available here. Nominations are due by January 14, 2018 to Mark Pishon at mpishon@gmail.com. This entry was posted in Adult Recognition, Awards, District Committee, News. Since a refrain at an Eagle Court of Honor is “once an Eagle, alway an Eagle,” can adult Eagles wear their Eagle Scout Pin? We all know that the Eagle Scout patch should be retired from a scout uniform, when the scout turns 18 and becomes an Assistant Scoutmaster. He then can wear the Eagle knot for the rest of his life. But can the adult wear his Eagle Pin to an Eagle Court of Honor. Bryan on Scouting tried to address this in 2014. Unfortunately, his article was slightly incorrect. I met Bryan at National Jamboree this past summer. Having read his material for years, I can vouch that he does his research thoroughly, and his personality in person is very humble and self-effacing. Consequently, I believe his error is less a lack of diligence than a lack of clarity in the scouting literature. So if we are trying to make sure that a new Eagle Scout feels part of a larger circle of scouts and scouters, we can encourage all Eagles to wear their pins to the Eagle Court of Honor. This accomplishes two key goals, among many others. First, it allows the new Eagle Scout, the non-scouting visitors, and the newer scouts to see the people who are Eagles more clearly. The men whom they respect wear the pin. Second, it allows more people to identify the Eagle knot. This means that some of the mystery of an adult’s uniform is removed. With greater real recognition, more adults may seek the company of existing Eagles as mentors in scouting, and more youth will seek to join their company as fellow Eagle Scouts. This entry was posted in Adult Recognition, Advancement, Benefits of Eagle Rank, Boy Scout, News. On June 13, Crossroads of America Council hosted the 33rd Annual Scouting Awards Dinner in downtown Indianapolis. Seven individuals were honored for their commitment to the community. 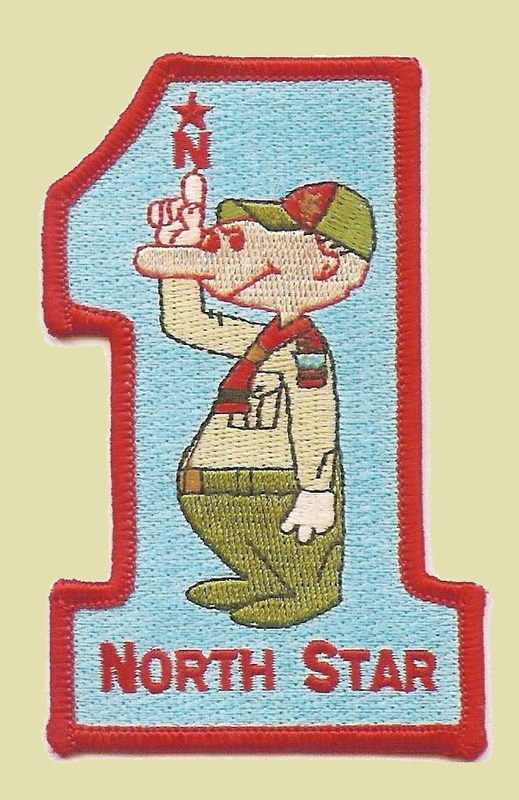 Congratulations to the North Star and Troop 514 Damer boys and Dr. Bob Einterz, graduate of North Central High School. Next year, make sure to nominate your Eagle Scouts and adult leaders for this pretigious award! This entry was posted in Adult Recognition, Awards, News. Word has been received that the Troop is run by a clique. Upon investigation we find that this statement is TRUE. Furthermore, we find that this clique is composed of faithful members and loving parents who are present at each meeting; who willingly accept appointment to committees; who freely give of their time to teach skills to the Scouts; to look out for each other; and to serve in a wide variety of ways. They are those who sincerely believe that the more one puts into his Troop, the more he gets out of it. The strange thing about this clique is that it is very easy to get into. All one needs to do is demonstrate a lively interest in the organization, make constructive suggestions and accept responsibility when asked to do so. Show a continued interest in all the affairs of the Troop and before you realize it, you will be a member of the clique. . . . And you will be surprised how very happy they are to have you! adapted from The Master Mason, Aug 1962. This entry was posted in Adult Recognition, News, Recruitment.